The decision by former Guimaras Governor Emily Relucio-Lopez to stay away from the kitchen when heat became unbearable in 2006 was a brilliant move. Relucio-Lopez was supposed to get an ambassadorial post to Italy under the Arroyo administration, but merchants of intrigues and gossipers made sure she would be sideswiped from selection process. 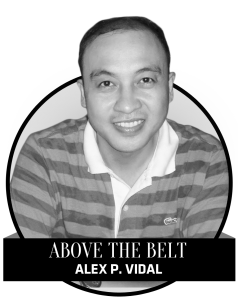 As soon as her name surfaced as among those being considered by then President Gloria Macapagal-Arroyo for the post, green-eyed monsters started to circulate ugly stories about her relationship with husband, former Iloilo second district Rep. Albertito Lopez. Her detractors tried to flood the mass media with fake news (it’s good social media wasn’t so influential at that time) that Chona Mejia, Rep. Lopez’s estranged wife, was sharpening her knife and was poised to appear in the Commission on Appointments (CA) to “spell the beans” and oppose the former governor’s appointment. It was actually Senator Sergio ‘Serge’ Osmeña III who was painting the town red portraying Relucio-Lopez to be “unworthy” of the ambassadorial position. Osmeña had ax to grind against Relucio-Lopez because his wife, Betina, was Chona Mejia’s daughter with Rep. Lopez. According to Osmeña, the marriage between Chona and Rep. Lopez has never been annulled and there was no divorce in the Philippines. When reached by reporters for comment, Chona Mejia reportedly denied she was planning a CA ambush against Relucio-Lopez. She admitted though she tried to campaign against Relucio-Lopez when the latter ran for office in Guimaras in the 90s. Chona Mejia, too, appeared to have let bygones be bygones and wasn’t interested anymore to dip her fingers into the murky waters of politics. True or not, Osmeña’s saber rattling was dismissed by Relucio-Lopez’s sympathizers as an “intriga” (intrigue) and a “tsismis” (gossip). It was also belittled as an “estoppel” since Relucio-Lopez had also previously served as congresswoman in Guimaras aside from governor in the island province; her relationship with Rep. Lopez was never used with extreme necessity by her political enemies to stymie her stint as public servant. It was tsismis or gossip that toppled Relucio-Lopez from the ambassadorial post to Italy. We remember Gov. Relucio-Lopez’s predicament amid the decision of Facebook to lower the boom on fake news websites in the Philippines that contain false information. The lady governor would have been a victim of cyber or internet bullying if social media was active during her time. An outstanding public servant, Relucio-Lopez was a big loss in Philippine politics. The idea of building a bridge between Guimaras and Iloilo had been conceptualized during her term as governor.